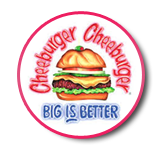 Bring the whole family and come enjoy a great meal at Cheeburger Cheeburger in Manalapan, New Jersey. Enter our “1950s style diner” decorated with hot pink walls and neon lights, 50’s nostalgia décor, an old fashioned soda fountain counter with stools made of glass blocks and don’t forget the ’50s music playing throughout the restaurant while you dine. The minute you walk in the door you are greeted and seated by a super friendly staff suggesting to you the “Special” Burger & Shake of the Day! Cheeburger’s menu allows you to invent your own cheeseburgers, fries, shakes, wraps, sandwiches, salads, desserts, soft drinks & more by choosing “free” cheeses and over 25 different “free” burger, salad & shake toppings. Cheeburger offers five different sizes of “fresh, never frozen, 100% Angus beef burgers ranging from 5.5 oz. to a huge 20-oz. burger grilled to your specification. For the gluten-free diners, Cheeburger offers Udi’s Gluten Free Buns for the burger. If beef is not your choice for the day, Cheeburger also offers turkey and salmon burgers. We even have veggie and portabella mushroom burgers for the vegetarians out there! What goes better with your burger than daily fresh made onion rings and French fries and a choice of five signature sauces to dip them in. Don’t forget to start or complete your meal with your choice of over 150 different milk shake flavors in two different sizes. You can combine as many flavors as you wish making over 1,285,000 different milkshake combinations. 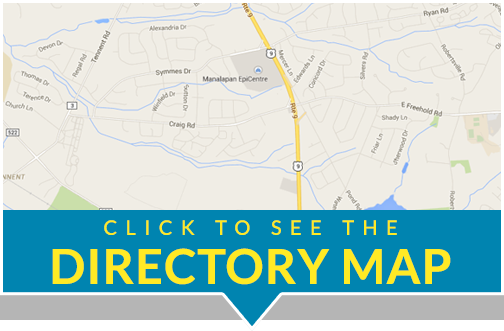 Cheeburger continually strives to be an involved member of the Monmouth County Community. We urge Athletic Teams, School Clubs & Organizations, Churches, Synagogues, etc., to hold fundraisers at the restaurant and we will donate 20% of the total net sales brought in back to you. We take pride in supporting organizations such as Toys for Tots or Operation Sleighbells during the holiday season and also in times of need (Hurricane Sandy) by collecting items for the less fortunate. Cheeburger Manalapan currently assists various elementary schools who choose to participate in promoting excellent student behaviors & characteristics thru our “Student of the Month” Program.